Furthermore, don’t assume this is just a roll of the dice from some TOs. Each of the Southern Region events polled thier past attendees and the players themselves overwhelmingly voted in favor of Kings of War over Age of Sigmar. So this is certainly a movement being led by the players. These are long lived and robust events that routinely pull in 70-100 players each. That list doesn’t even take into account the many other events of the circuit, so it should come as no surprise to see many more events moving to Kings of War in the months ahead. 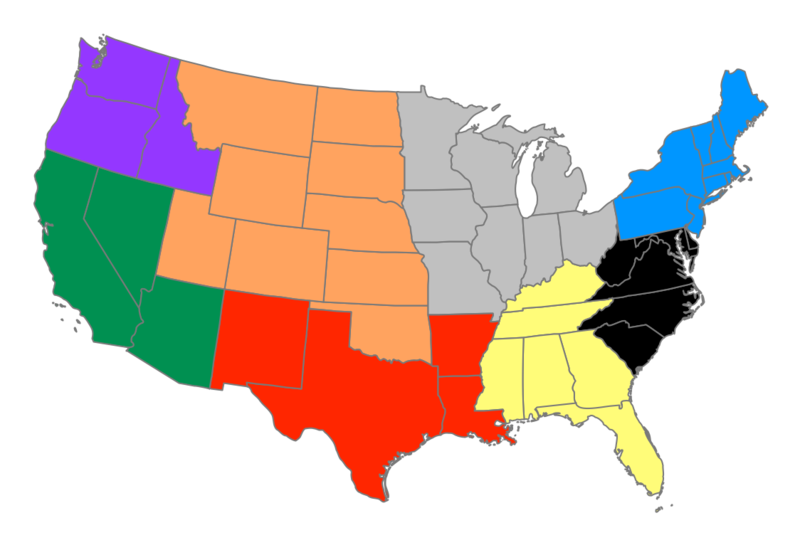 So we aren’t talking about individual local FLGS’s here and there, but a geographic block of at least 9 well loved regional events (so far) that are part of the US Warhammer Fantasy Masters multi-region circuit covering the entire United States. 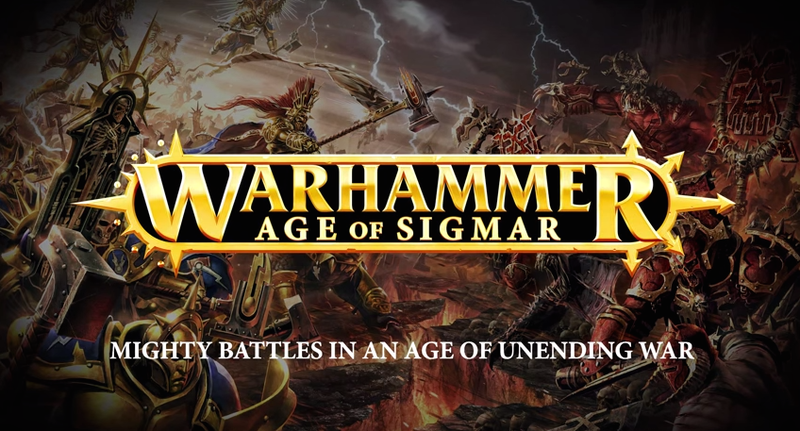 I expect we will see many more events switch over, or at the least run both Kings of War and Age of Sigmar in parallel in 2016 and see where the chips fall. 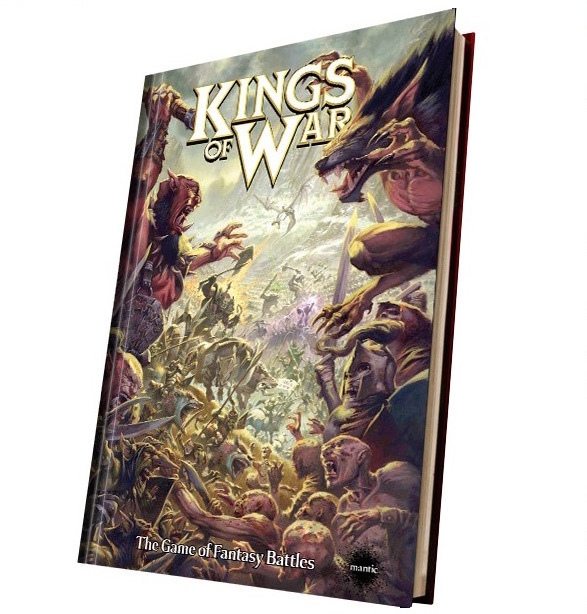 One thing is certain, Kings of War is gearing up to be a big long-term and well-supported system in a way that would have been unthinkable 1 short year ago. We are watching tabletop history unfold right before our eyes folks. 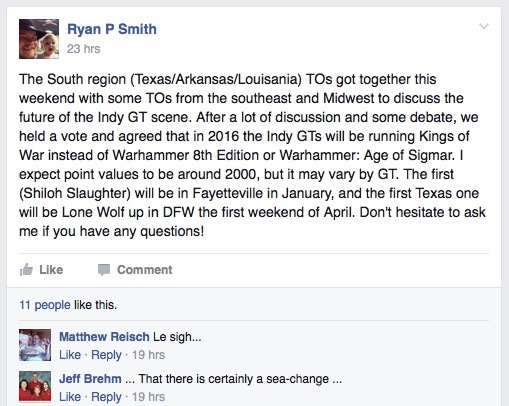 ~How to you think the Warhammer 8th community will settle out a year from now?